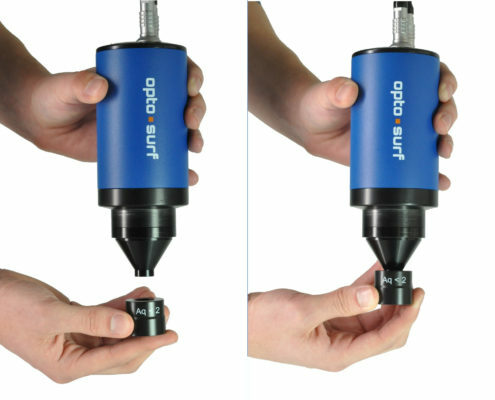 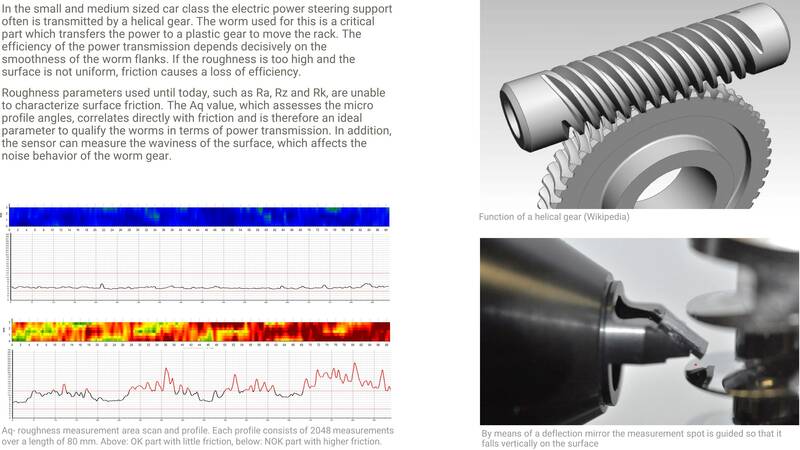 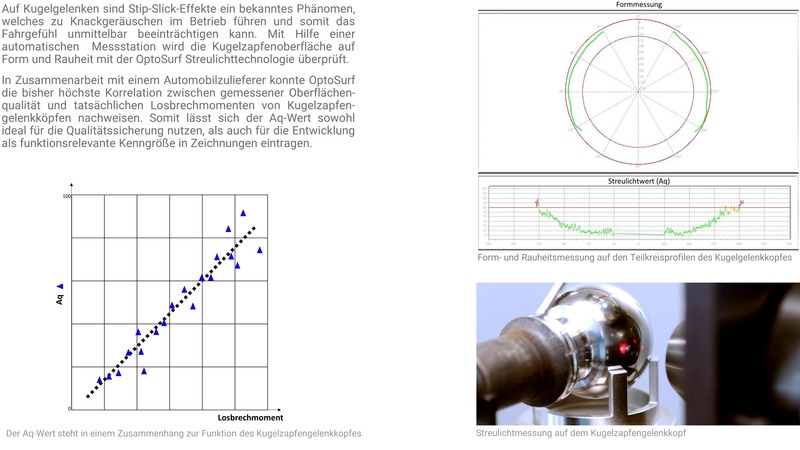 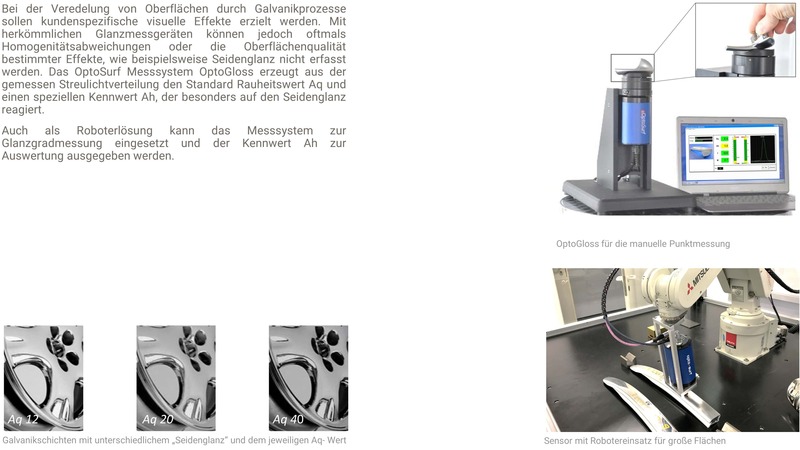 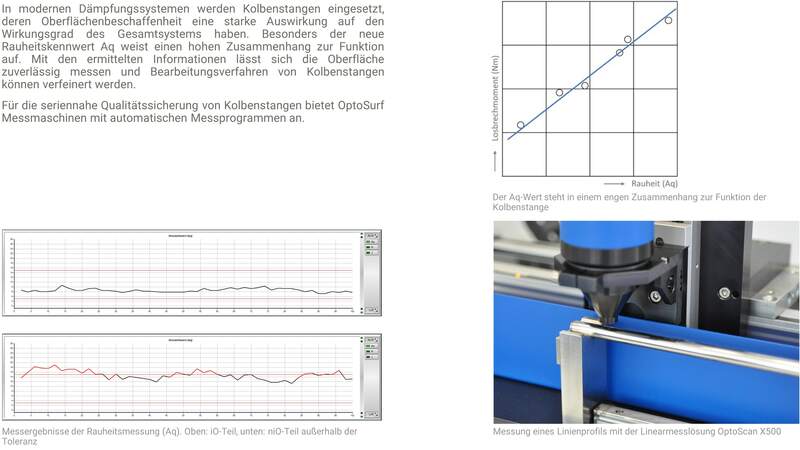 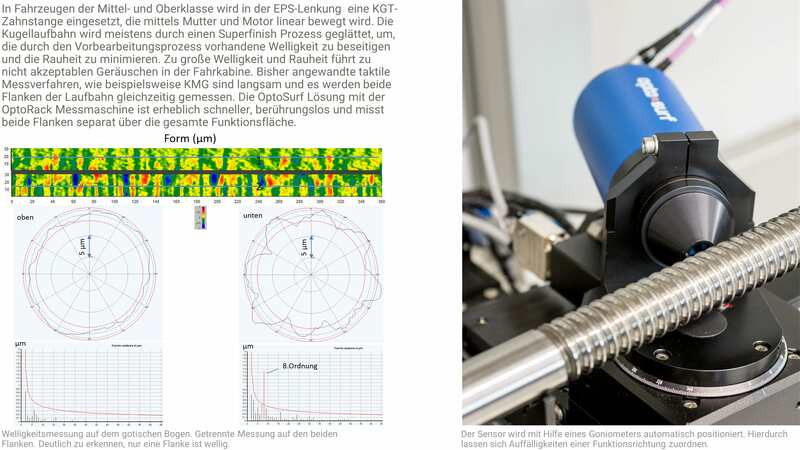 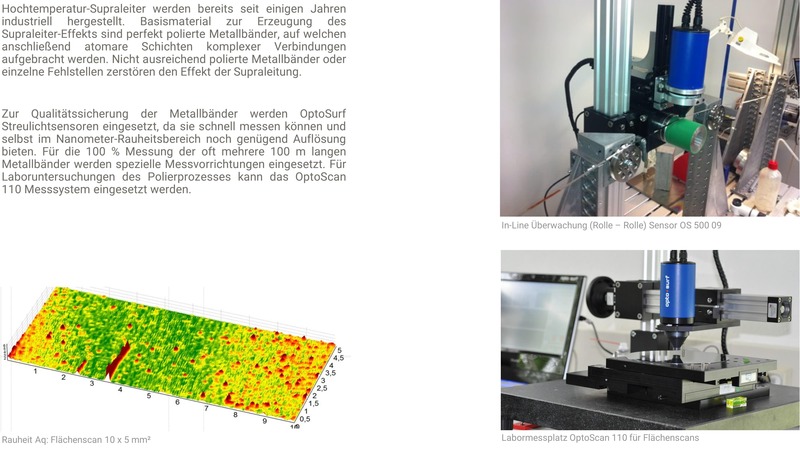 To check the correct function of the sensor and the measurement setups, OptoSurf offers specially developed reference standards. 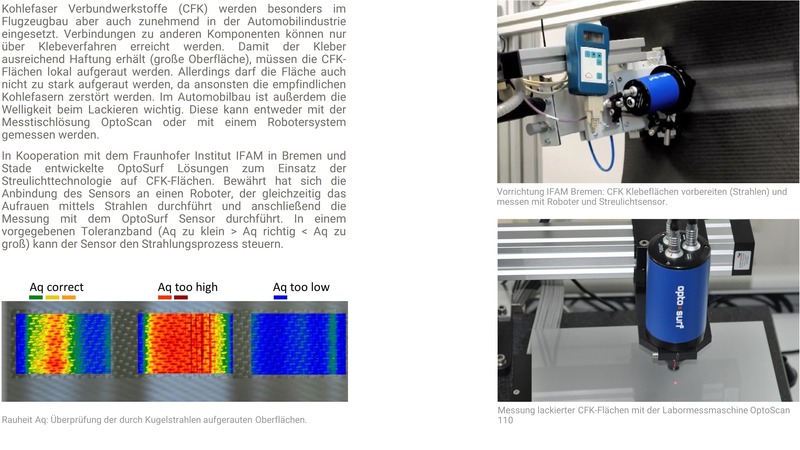 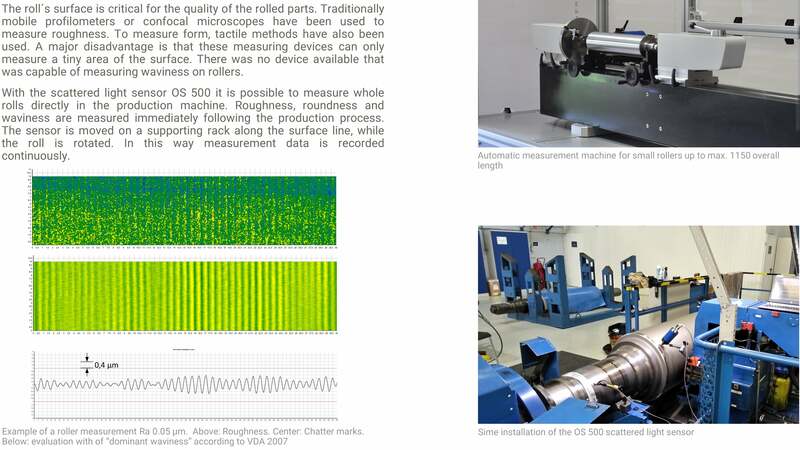 The standards are either universally applicable or specially tailored for use with a measurement solution. 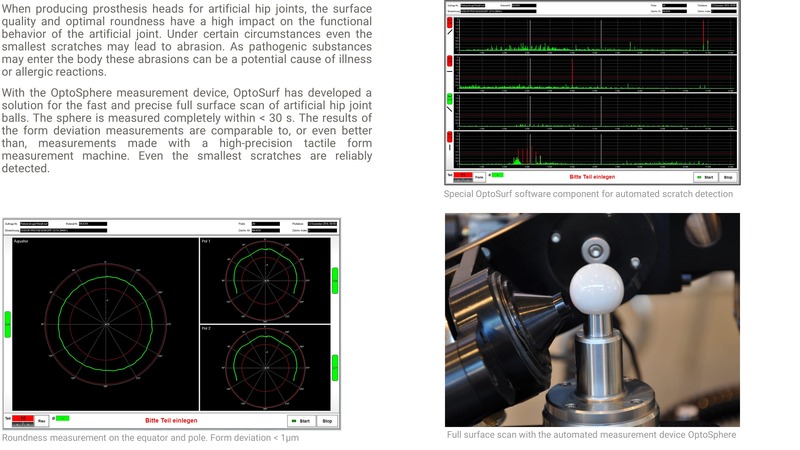 The OptoSurf software can be used to carry out reference measurements which are saved automatically, and to create certification protocols. 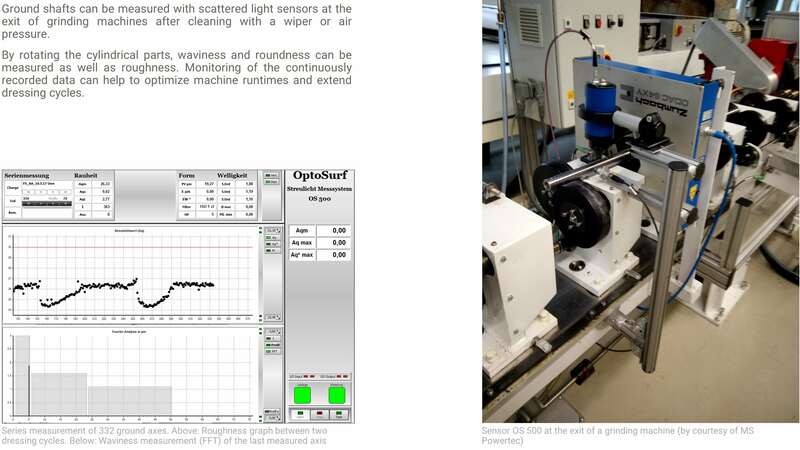 The standard set CS3 is used to check the correct function and to calibrate the scattered light sensor OS 500. 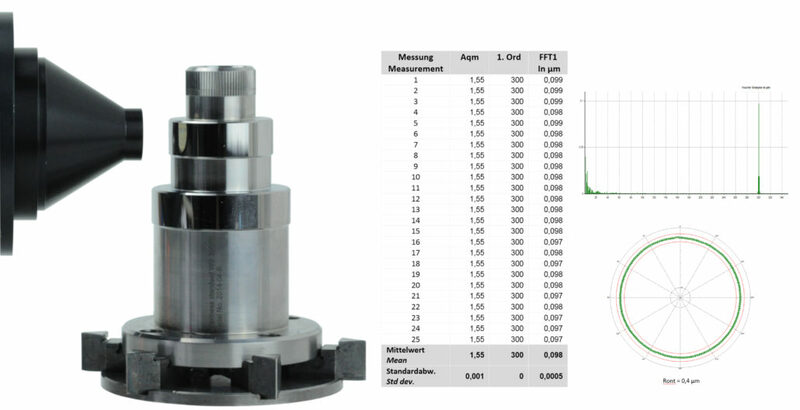 It contains two roughness standards, relating to the lower and upper sensor capacity limit. 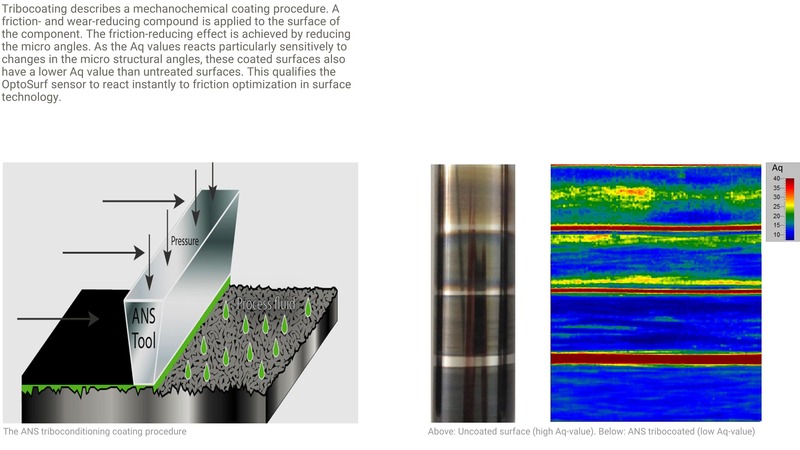 The lower limit is known to be Aq ≈ 1.6, which is equivalent to Ra < 0.001 µm. 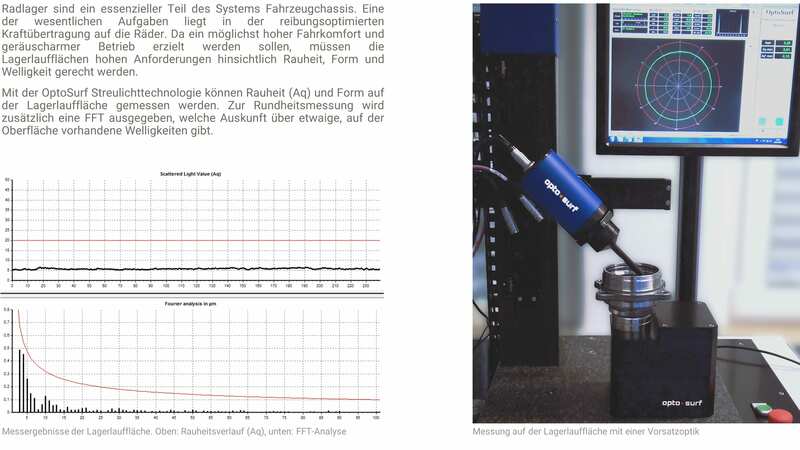 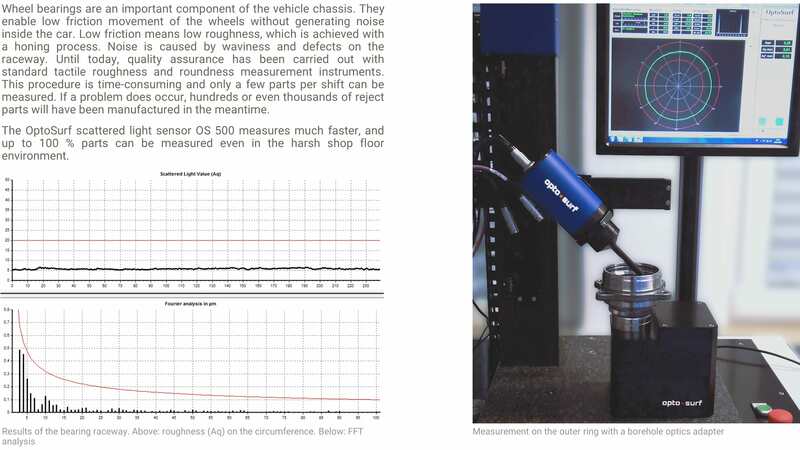 It is comparable to a flat glass measurement for tactile roughness testers which is performed to measure inherent system noise. 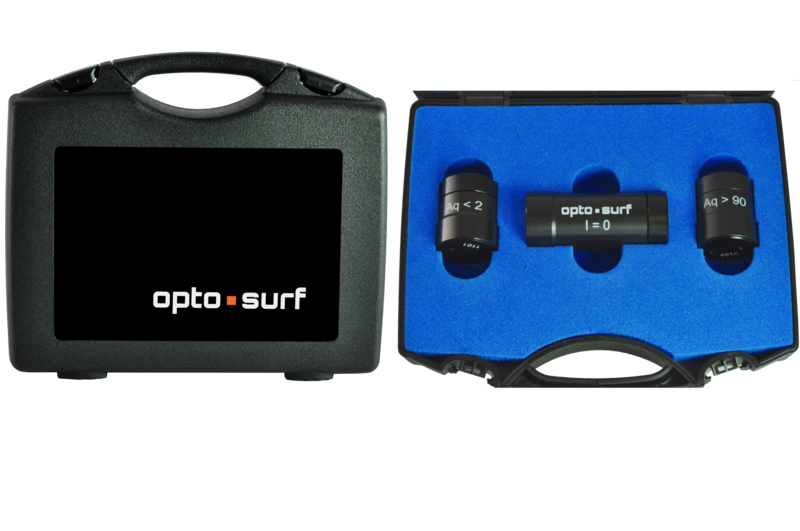 The set also contains a light trap, which is used for sensor calibration. 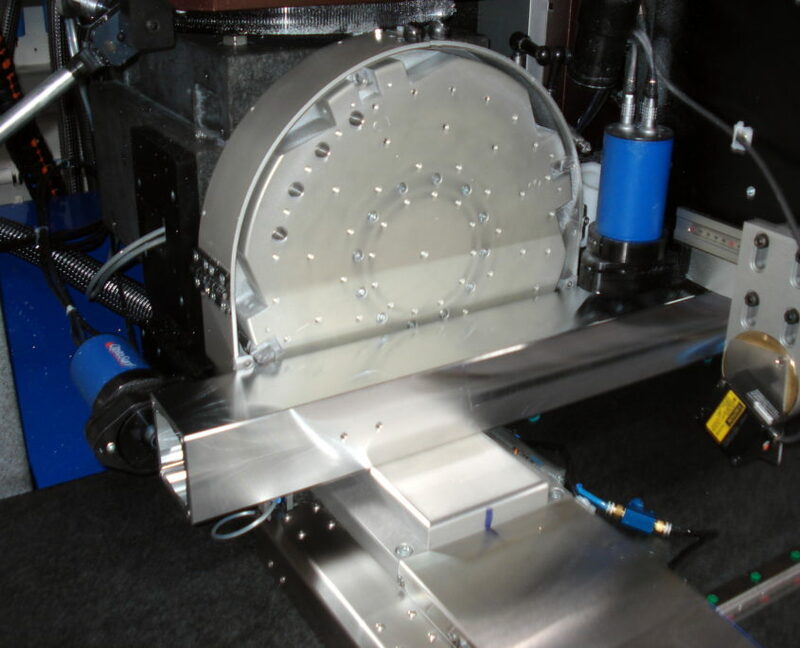 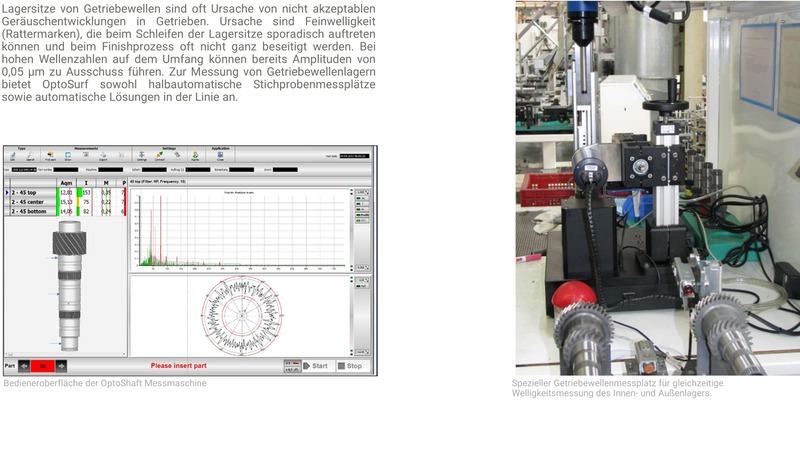 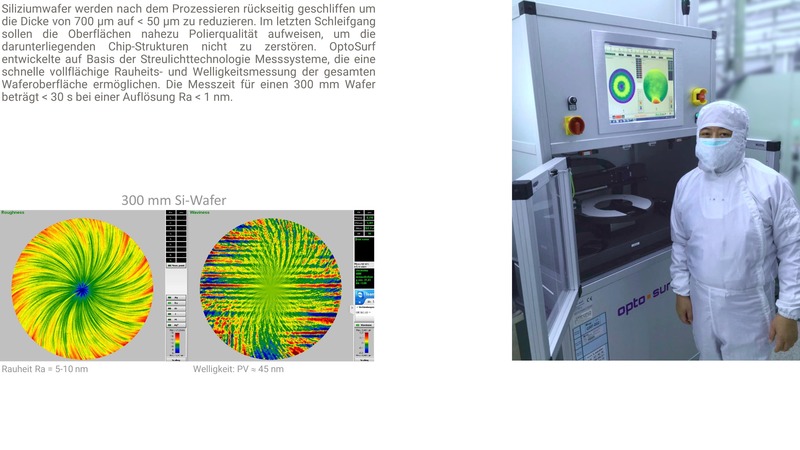 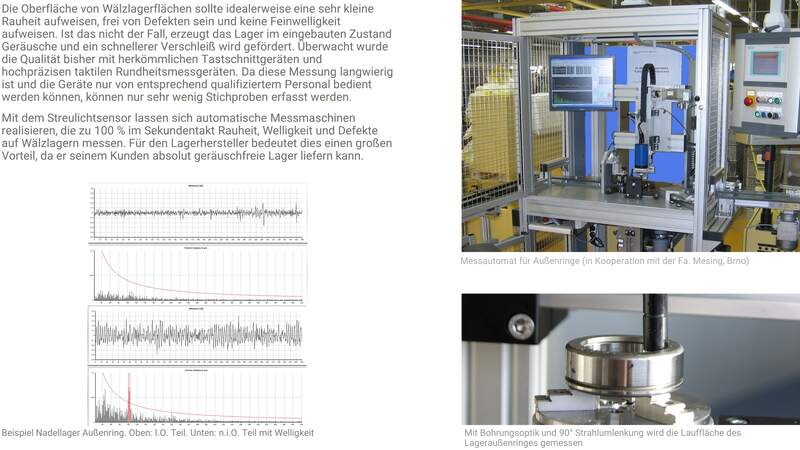 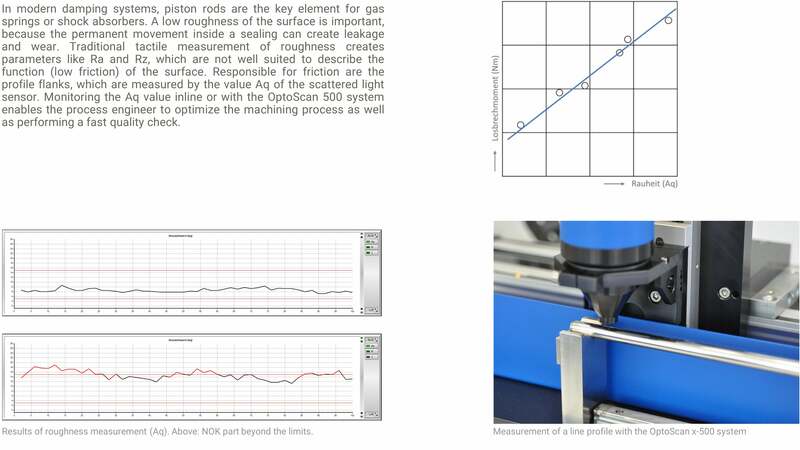 To calibrate OptoShaft measuring devices, the waviness standard WS 300 is used. The standard is characterized by excellent precision. 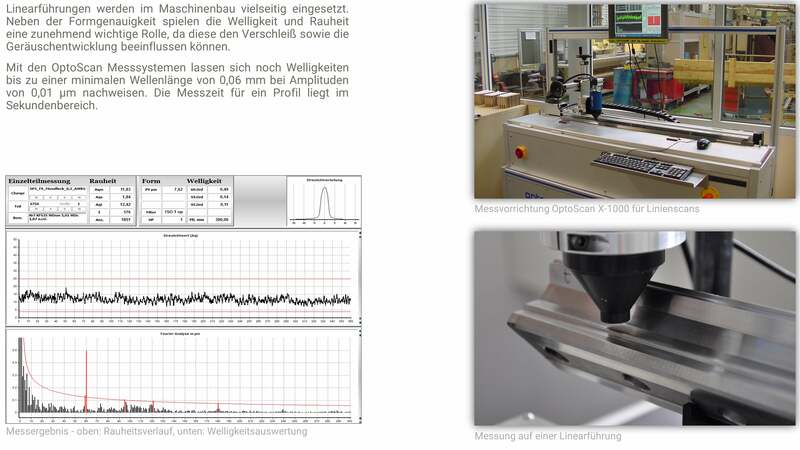 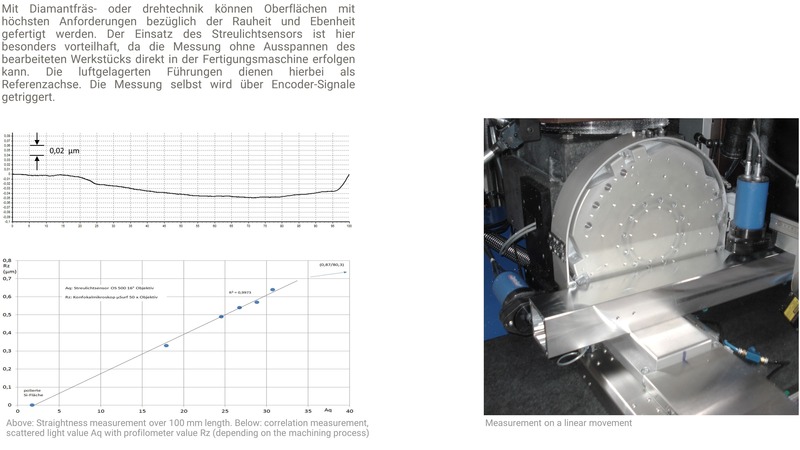 It is used to verify the sensor’s ability to trace high orders (300) with a small amplitude (0.1 µm). 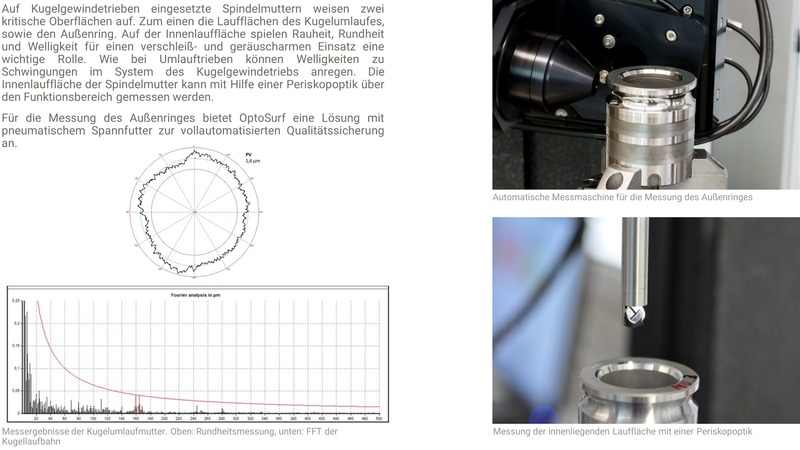 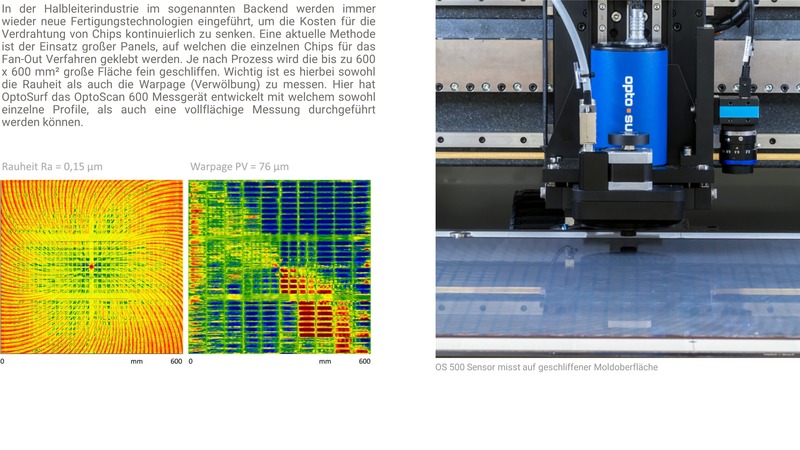 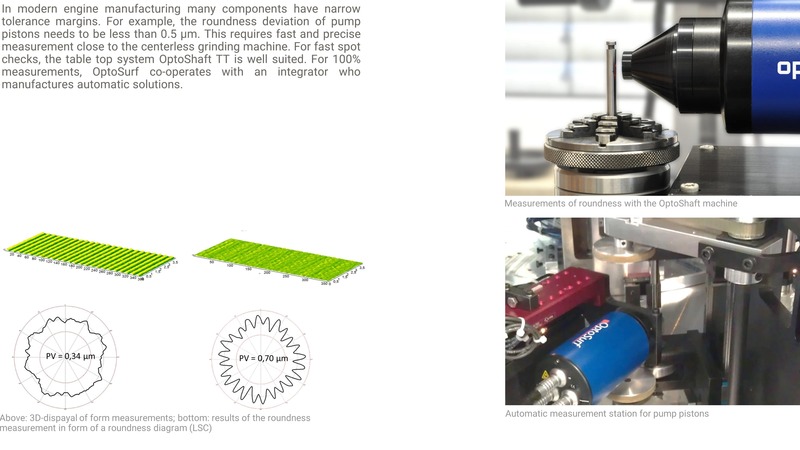 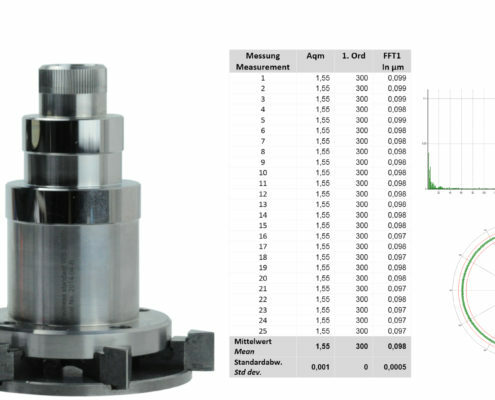 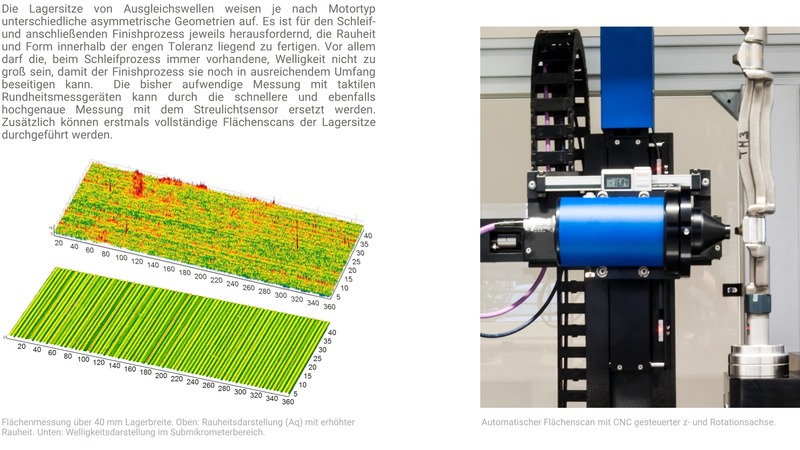 With the S 500 scattered light sensor in combination with a precise rotary table, very high repeatability with a standard variance of amplitude measurements < 1 nm can be attained.